Soon after the bombs stopped falling on Kabul, award-winning journalist and women's rights activist Ann Jones set out for the shattered city. This is her trenchant report from the city where she spent the next four winters working in humanitarian aid. 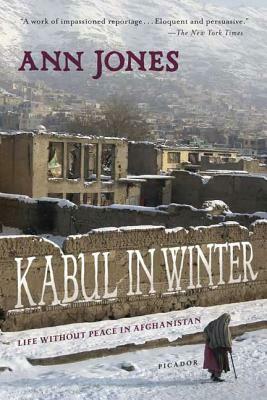 Investigating the city's prison for women, retraining Kabul's long-silenced English teachers, Jones enters the lives of everyday women and men and reveals through small events some big disjunctions: between the new Afghan "democracy" and the still-entrenched warlords, between American promises and performance, between what's boasted of and what is. At once angry, profound, and starkly beautiful, Kabul in Winter brings alive the people and day-to-day life of a place whose future depends upon our own.